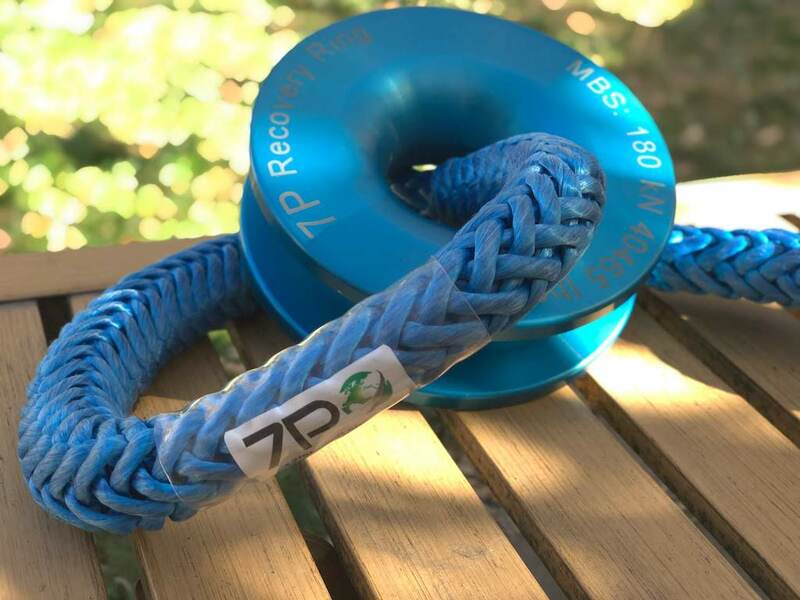 We’ve developed a great system that can replace heavy and awkward pulleys. 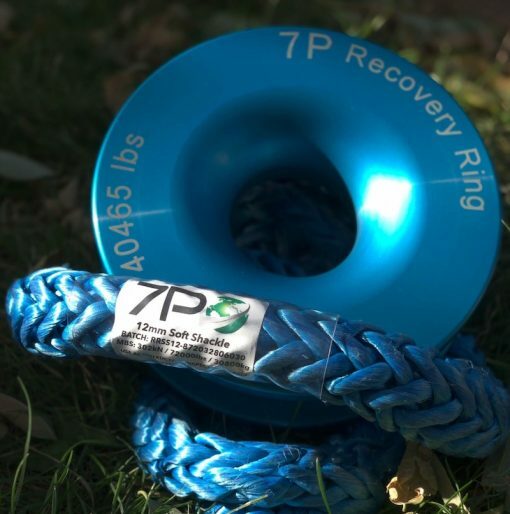 With a 7P recovery Ring system (consisting of a lightweight ring and soft shackle), you can be rid of a heavy and difficult to stow pulley system. 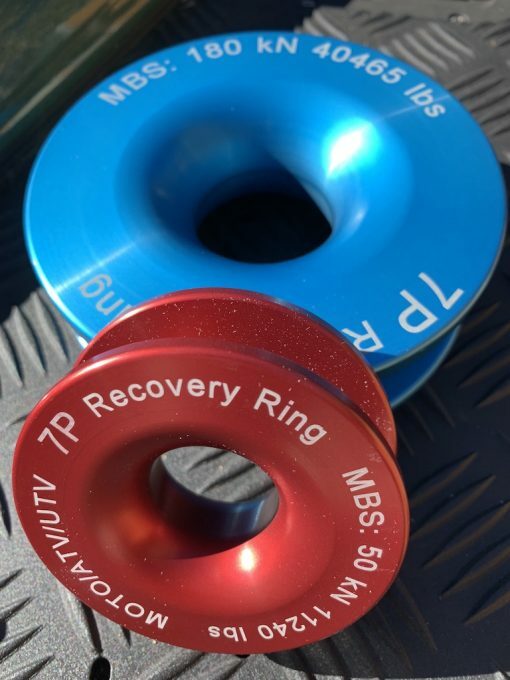 The standard (blue) Recovery Rings are out of stock and can be backordered. Place your order today and we’ll ship ASAP. 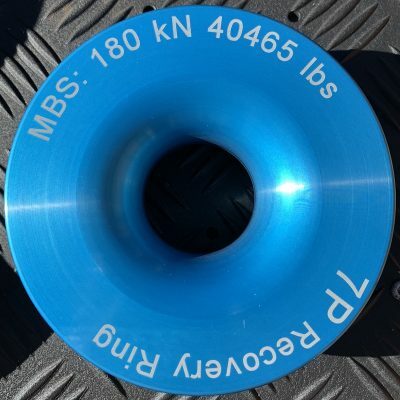 They’ll be in stock and shipping week commencing 10th December, 2018. 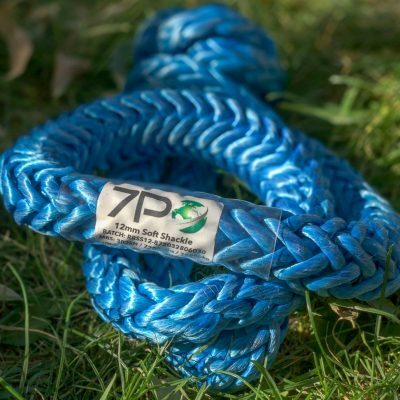 The 7P Recovery Ring system for most standard to medium sized 4×4 vehicles (not large trucks). Includes Blue Recovery Ring and soft shackle. We’ve been using our recovery ring in the Guatemalan jungle for double line pulls to get our heavy Land Cruiser and a friends Nissan Patrol up a steep mud mountain as well as with an offset to pull a 4×4 back onto the trail. All of our gear needed to be cleaned immensely, but we love that the Ring has no bearings or other places for mud/sand to get trapped.